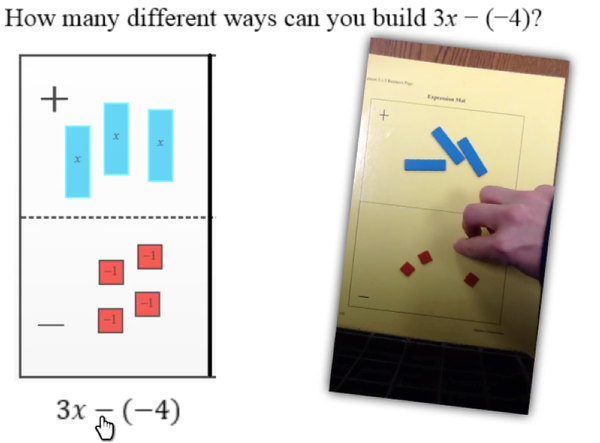 Algebra Tiles can be used to illustrate many concepts. Use Algebra Tiles to describe area. 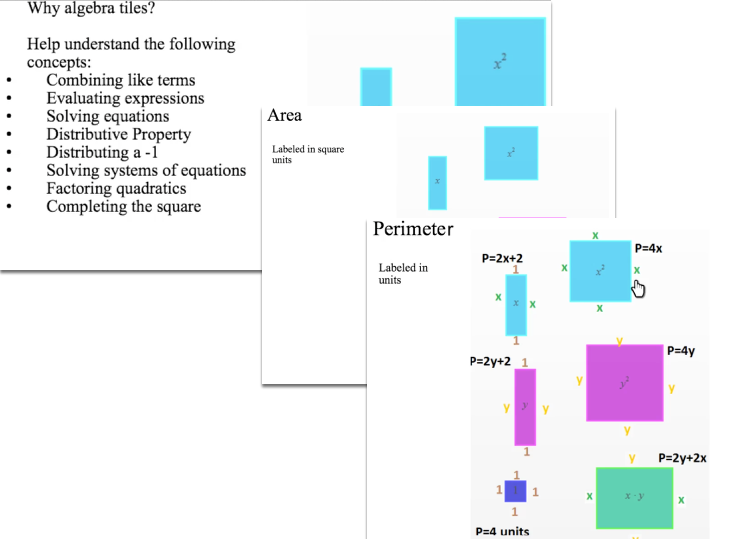 Use Algebra Tiles to describe perimeter. View the process of balancing using Algebra Tiles. 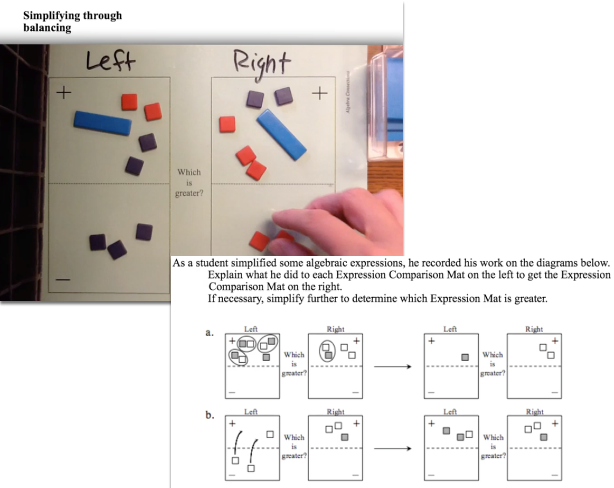 Students may record their work using Algebra Tiles.